Former Barcelona goalkeeper Victor Valdes is still expected to join Liverpool within the next two months, but will first need to prove his fitness following a troublesome injury. All the Premier League done deals. The Liverpool Echo has claimed that Brendan Rodgers’ side will push ahead with plans to sign the free agent, who will provide competition for current number one stopper Simon Mignolet. According to the source, the 32-year-old, who left Barcelona at the end of last season, is currently recovering from a serious knee injury, and is not expected to be back in action until November. But Liverpool are prepared to monitor his fitness over the next two months, before potentially offering him a contract at Anfield. He would also be expected to undergo a stringent medical at Melwood. Liverpool have left space for Valdes in their 25-man Premier League squad, which was announced earlier today. Mignolet, and Australian veteran Brad Jones were included, but with Pepe Reina having left the club for Bayern Munich earlier this year, they are short on numbers in the goalkeeping department. 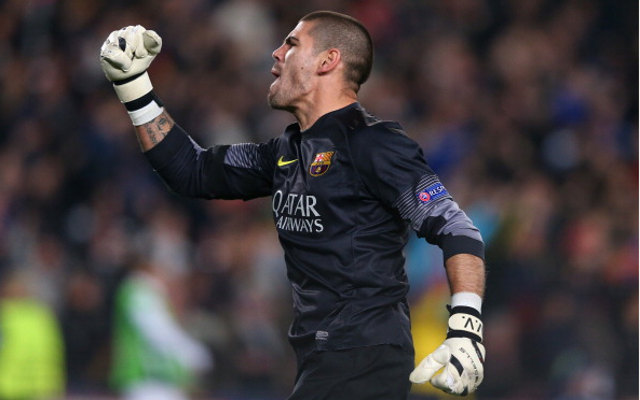 Valdes has won 21 major honours at club level, including six La Liga titles and three Champions Leagues. He was also a member of the Spain squad which won the 2010 World Cup in South Africa, and the European Championships two years later.